Toyama Blue #2 210mm Nakiri - SOLD! 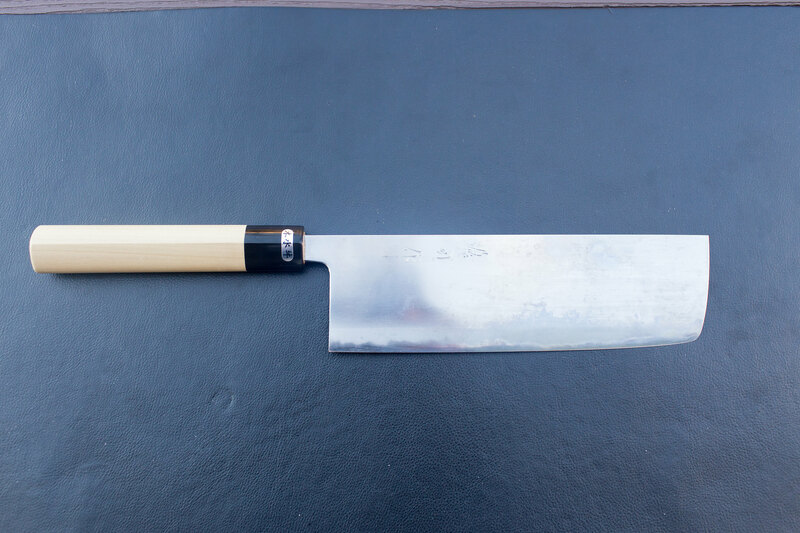 Struggled with the decision to sell this, but it's not being used much and I have a Watanabe 180 nakiri as well. Super fun to use and just destroys anything you throw at it. 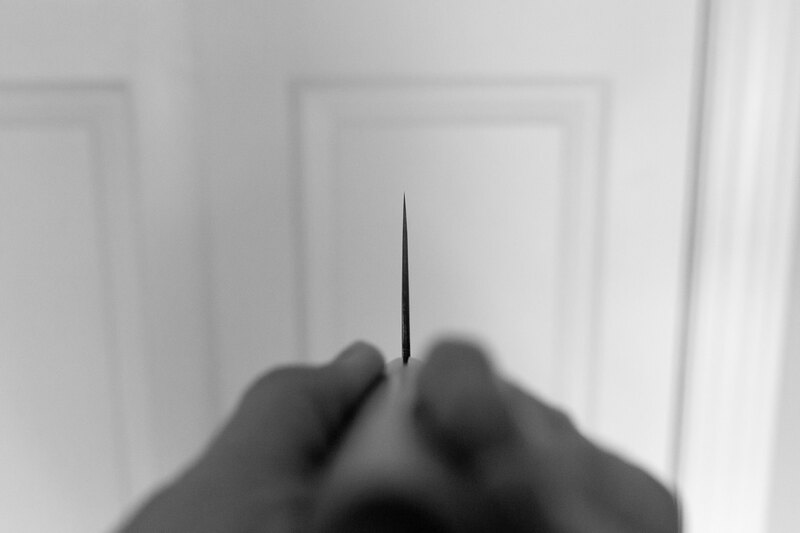 Never sharpened, but still crazy sharp. $335 shipped to USA and PP. International buyers, we can talk. Very fun knife, not your average nakiri. I love mine. GLWS. I’m bumping this so it'll disappear. Been debating on it all morning. Ugh, I just sold it. Sorry! No apologies. It was divine intervention. Have a nice weekend ! Don't worry Sean, there is always another around the corner to temp you! Hell, I was tempted by this one and I don't even like Nakiris! Well another forum member had one unused that he just offered me for the same price, of course I couldn’t resist. Nah, that’s was nice and I appreciate it. 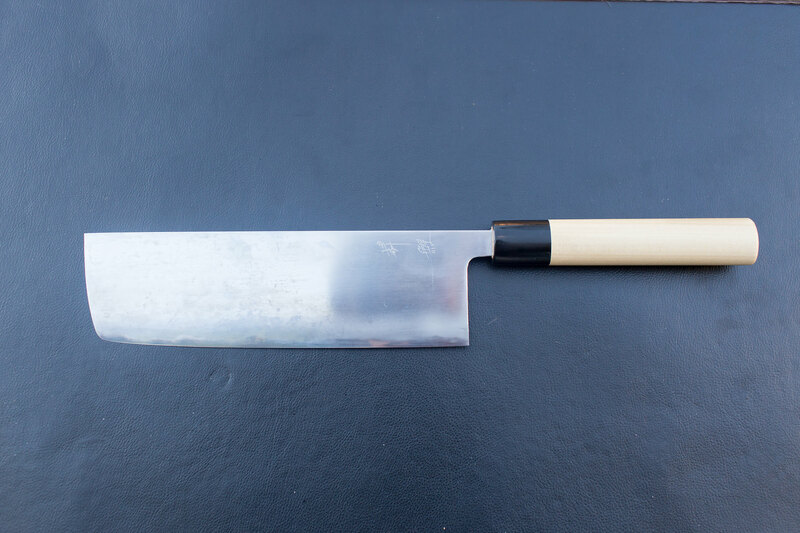 I’ll list a Wantanbe Nakiri and an Ikeda 240 Gyuto AS tomorrow. Gotta start cutting some loose. Re: Toyama Blue #2 210mm Nakiri - SOLD! 210 toyama nakiri, phenomenal! One of my favorite knives.